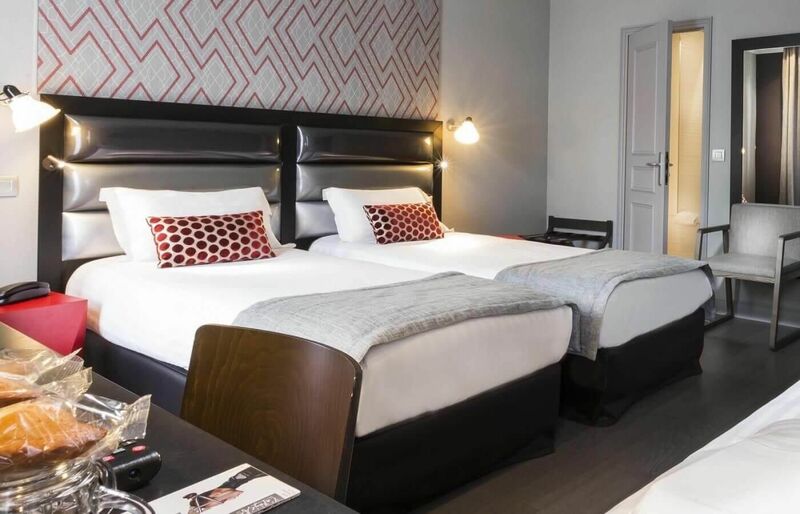 The Hôtel Garance is a design hotel conveniently located near the historic Latin quarter. This comfortable hotel boasts a chic, elegant decor with different relaxing shades of greys offset with red graphic lines for a vibrant touch. All our rooms have been individually decorated with guests comfort in mind and include top quality bedding, air conditioning and complimentary internet access for a very homely feel. Our dedicated staff will do their utmost to meet your every needs and help make your stay in Paris a very relaxing and comfortable one. Les Gobelins Metro Station is 80 m away and provides access to the Louvre Museum. Garance hotel is a 3-minute walk from the Pantheon and the lively Rue Mouffetard, with its cafes and restaurants.